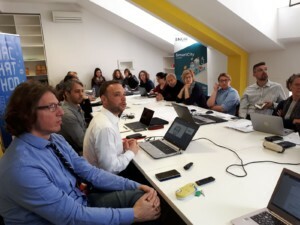 The 4th steering committee of the HERIT-DATA project was held in Dubrovnik (Croatia) on 26 March at the premises of the City of Dubrovnik Development Agency (DURA). Representatives from the partner organisations, including the CPMR’s Intermediterranean Commission (CPMR IMC), gathered to discuss the project’s progress, the difficulties encountered, and the next steps planned, with a particular focus on the transition from the Studying phase to the Testing and Transferring one. The steering committee started with a brief presentation on the state of play regarding the Studying phase, focusing on the deliverables to be carried out by the end of April. 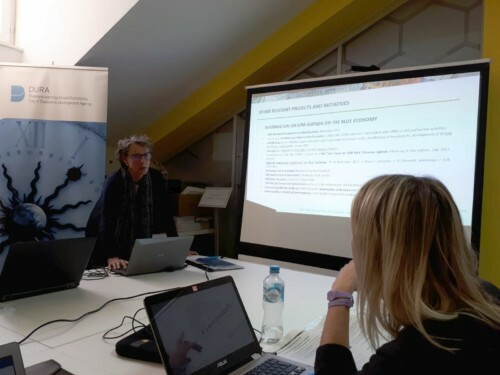 Valencia Region, in charge of WP3 (Studying), gave an overview of the main results and conclusions of the recently finalised study on overtourism, benchmarking mass tourism experiences. Santa Maria Real Foundation – who is supporting the implementation of WP3 – then introduced the design of the indicator system which is currently being developed in the framework of the project. The second part of the project meeting focused on WP4 (Testing), led by the Tuscany Region in collaboration with the Foundation for Research and Innovation, the University of Lisbon and the Valenciaport Foundation. The lead partner presented the key objectives and forthcoming activities of the WP, ensuring coordination with the previous phase of studying. This was followed by a fruitful debate on the development of the HERIT-DATA Tourist Flow Management platform for the collected data from the pilot destinations. In the afternoon session, Occitanie Region took the floor, as coordinator of both communication and capitalisation WPs. The draft Communication Plan, together with the mapping of target group carried out, were presented to the partnership. As it will be particularly involved in supporting the capitalisation WP in the upcoming years, the CPMR’s Intermediterranean Commission (IMC) outlined its political agenda on sustainable tourism. The IMC also provided an update on its Sustainable Tourism Community’s activities, with a special focus on its 2nd Capitalisation Workshop organised in Split the days after on March 27-28. Following this, it shared its view on the planned capitalisation actions and finally described the potential synergies to be sought with relevant projects and emerging initiatives, such as PANORAMED, the UfM working group on Blue Economy, the WestMED Initiative, among others. 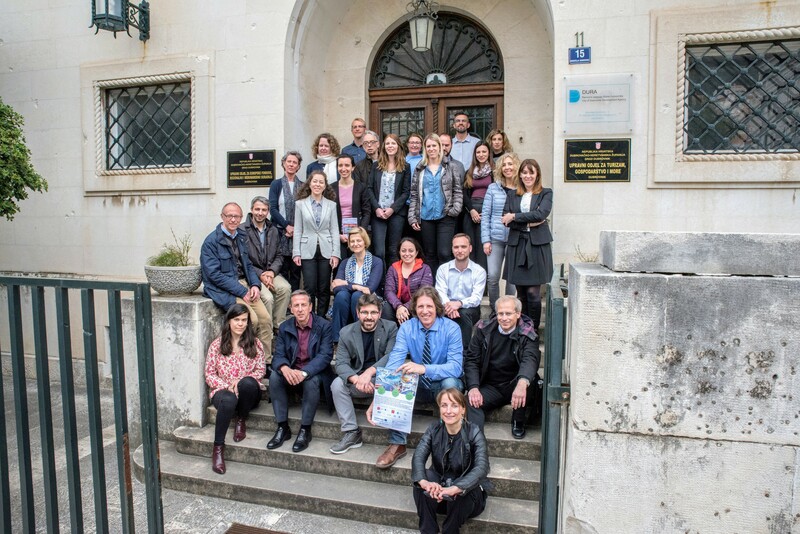 On 25 March, ahead of the steering committee, all of the project partners were invited to take part in a study visit organised by the Center for Spatial Research, to Trebinje and Mostar, beautiful cities located in Bosnia and Herzegovina. The guided field visit provided an interesting insight into the local tourism perspectives and management in the two destinations, boasting an exceptionally rich historic and cultural heritage. For further information, please contact Claudia GUZZON (claudia.guzzon@crpm.org), Flora LEROY (flora.leroy@crpm.org) or Emmanuel MANISCALCO (emmanuel.maniscalco@crpm.org).